Linda Oram has had an interest in meditation for many years. In 2010 she began attending regular mindfulness meditation classes which she found to be most beneficial, gaining more inner peace and balance in her life. This led her to undertake teacher training in 2015 at the Gawler Foundation in Victoria and then further studies with the Yoga and Integrative Medicine Institute in Brisbane. Linda enjoys connecting with people and is enthusiastic to help others establish their own regular Mindfulness Meditation practice. 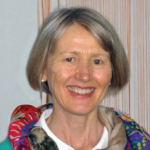 Linda is a registered teacher with the Meditation Association of Australia.